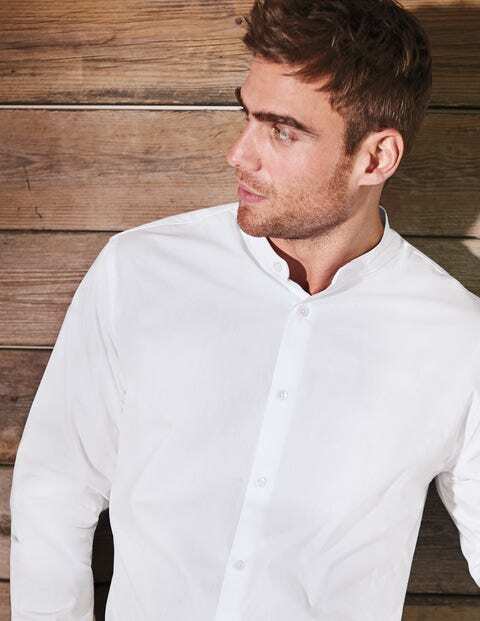 With its origins dating back to WWI, the grandad collar has historically been synonymous with both hard work and looking smart. Now the shirt finds itself in a contemporary world, and offers a laid-back option when worn with a suit during party season. Thanks to its tightly-woven, crisp poplin cotton, this essential will keep its structure no matter how late the evening gets, while the regular fit with slightly tailored waist will have you looking sharp.